Pretty boring story. Nothing really happens. Just a lot of talk about losing weight and relentless scheming. It all seemed very unrealistic and mindless. The narration for both women was good and easy to listen to but I just kept waiting for something to happen, hoping for a twist in the story or......just anything really! But nothing ever did. This is a real Christmas feel good story. Very Rosamunde Pilcher , the characters seem from another time altogether but that’s part of the charm. It’s a long tale with ups and downs but with Christmas spirit shining through and everything turning out wonderfully well by the end. The narrator was pretty good overall except for two characters....one who had a strong American accent for some reason even though he had only lived there for a few years and the other, a teenage girl, was given a very babyish voice which I couldn’t bear to listen to and so always found something else to do when her short chapter of her diary was read out. But overall it was very good and leaves you with a warm glow. 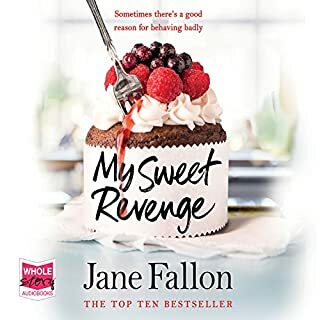 At first I thought I might have to send the book back, I found the narrator difficult to listen to, rather tremulous and wavering but I stuck with it and am so glad I did. 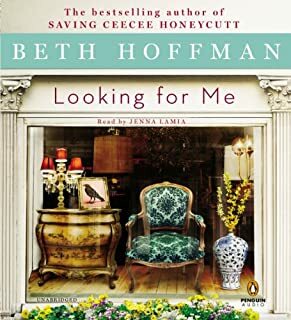 After a short while I not only began to like the narrator but thought she did a really good job distinguishing between all the different characters. Such a long listen that you become totally engrossed in the story, the characters and feel part of that tumultuous period of history. 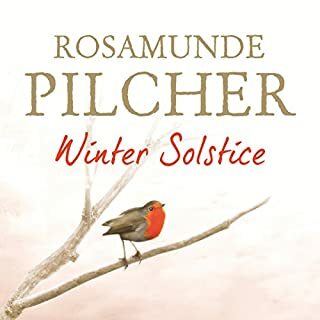 Typical Rosamunde Pilcher with everything being wonderful, money no object, everyone ravishing etc but that’s part of the charm and escapism. I would recommended the book to a friend to read but I wouldn’t recommended that they listen to it by audible book. 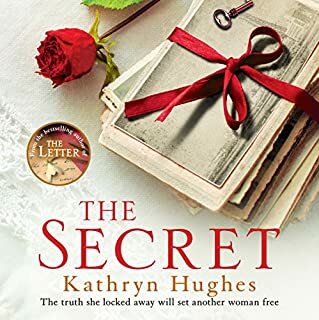 It is a wonderful book and I have read it, really enjoyed it and was so looking forward to listening to it again but the narration spoilt it for me. When I read the book to myself I liked Penelope's parents the best. But unfortunately the way the characters are read by the narrator makes them all so disagreeable and annoying. They all seem permantly cross, irritated or resentful. It’s really tiring to listen to! The narration needed a lot more spark. It was read in such an aggrieved way that I just kept hoping that someone (anyone!) would be happy but it wasn’t to be. Also, as previously mentioned by other reviewers several words kept being mispronounced. Simple words such as hearth...it was disconcerting. 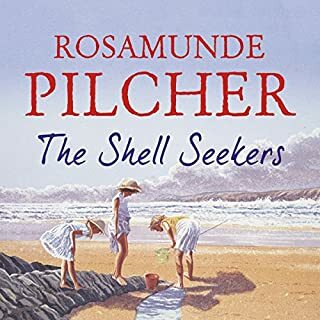 Was The Shell Seekers worth the listening time? Unfortunately not. I had such high hopes when I saw that it was available and couldn’t wait to listen but it wasn’t what I had hoped for at all. 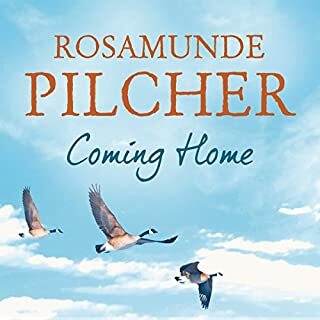 I will definitely try some other Rosamunde Pilcher audible books but look for a different narrator next time. I didn’t know what to expect from this book despite reading the reviews but I thought I would take a chance and I am very glad I did. A sweeping saga, taking in 7 decades and following the life of Cyril Avery from the 1940s Ireland to the present day. It was funny, sad, shocking and joyful and I always wanted to listen longer than I was able. The narration was superb, the characters quirky in places but very believable. I loved every minute of it and thoroughly recommended it. 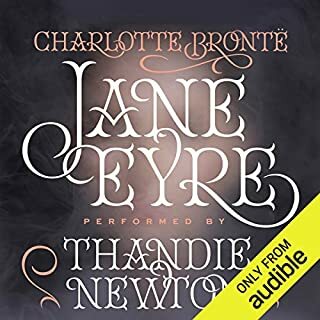 I have read Jane Eyre twice before and always loved it but to listen to it being told was a wonderful experience. I heard parts that I didn't remember, felt swept along by the story and was thoroughly engrossed throughout. The narration was excellent....perfect in every way. All I can say is don't ever listen to this book if you are depressed! It is pretty much non stop gloom......disease, suicide, unwanted pregnancy, bullying, car crash, death, child neglect, injuries, fire, lies and worry to name a few. 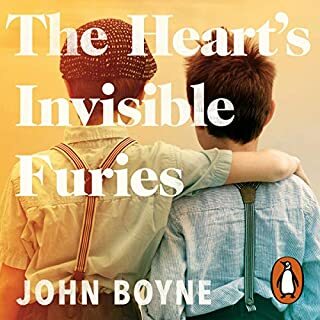 Narration was good, there thankfully was a happy ending, it had a good twist to it and I listened to it to the end but there was just too much relentless gloom and despair for me. This is such a good book which I read years ago. It's funny, quirky and gently mocks the British way of doing things. I like Bill Brysons narration of his own books very much. 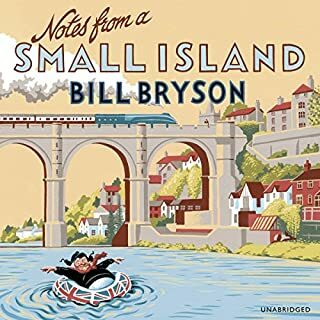 The book was great apart from very odd music suddenly drowning out much of the narration when Bill Bryson reached John O Groats. It was most peculiar and unnecessary....I didn't know where the music was coming from initially and then it swelled louder and louder until I wondered whether to turn off the book! Luckily it only lasted a few minutes but I do wonder what it was for and how it was supposed to enhance the recording. Apart from that I thought it a good recording and would recommend. As someone who fell off a chair not long ago trying to hear they what they were saying at the next table in a restaurant, I suppose I am obsessively interested in what some might consider the trivia of other people's lives'. 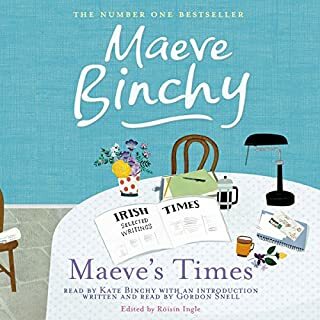 Maeve Binchy is well known for her best-selling novels, the most recent of which was A Week in Winter. But for many years Maeve was a journalist, writing for The Irish Times. I've read all Maeve Binchys novels but not her newspaper articles so I wasn't sure what to expect from this book. Well, it was delightful. Funny, warm, interesting and the narration was spot on. A great book to dip in and out of or listen to all in one go.